Milder temperatures and that strong douse of rain at the beginning of last week dropped the temperature of the river by a couple of degrees. This prompted us to pursue musky for a couple days and we managed to bring two to hand. 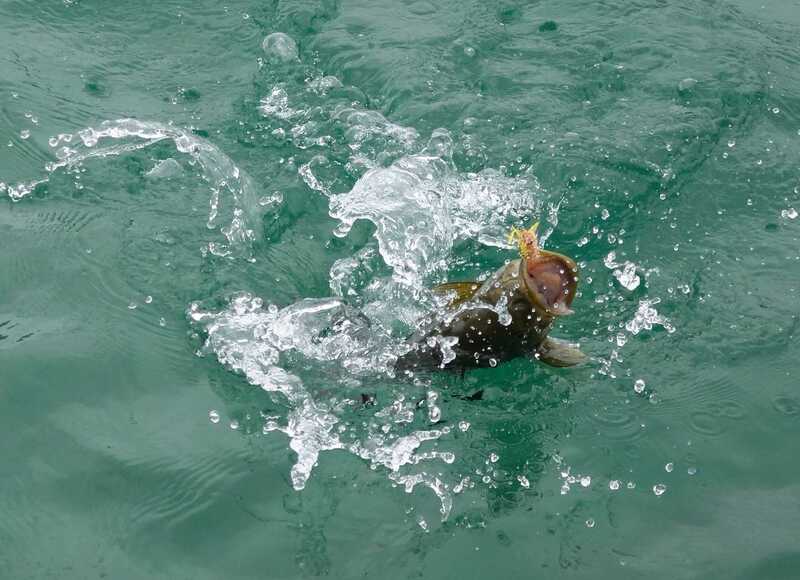 The smallmouth bass action was consistent enough to keep things entertaining – catching fish both deep and on top water. 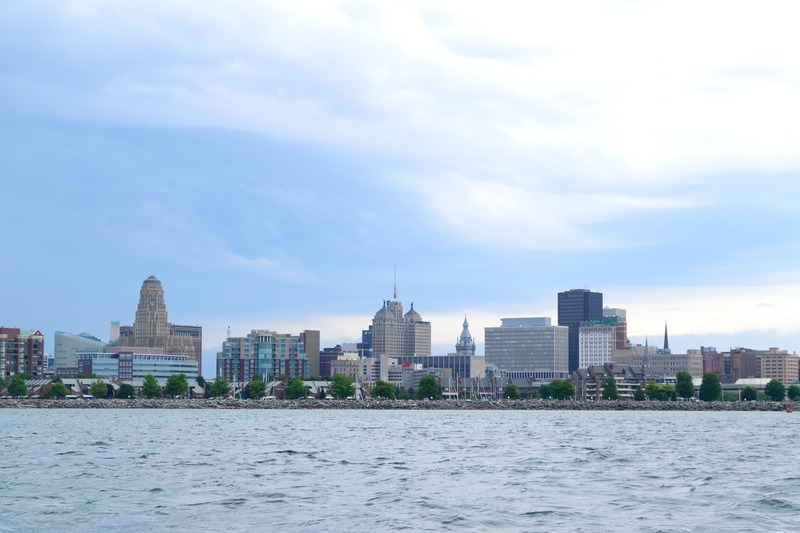 Although the rain did help bring down the Niagara River temperatures for a couple days, they are back up as of this writing. That rain also did little to quench the thirst of the inland creeks, all of which are still in rough shape. The NY Department of Environmental Conversation published a drought warning for all the counties in WNY – brutal! Bottom line: muskies are on but keep an eye on the water temps (STOP if above ~76 and if you catch one, keep it in the water), get your deep water game going for smallies but don’t hesitate to try top water, and stay off the trout creeks until we get some rain – a lot more rain. Like we said last week – now is the time to recon some new water in advance of the cooling trend that has to come at some point. The forecast for the rest of the week and into next looks very promising (except for today, which was ridiculously hot) – with highs in the low 80s and lows in the low 60s – and more rain. We’re keeping our fingers crossed. Long story short – we practiced what we preached the week before and reconnoitered some potential spots for the upcoming months. We weren’t disappointed. Ryan also got a chance to visit some pristine smallmouth bass water in southeastern Michigan. He spent a day on some Jurassic Park like water with the owner of Schultz Outfitters, Mike Schultz. Besides being an entertaining and highly skilled guide, his expertise as an outfitter and industry professional is top notch. He and his crew developed their fishery and outfitting service from the ground up – and it’s an amazing place. A MUST visit for any fan of the smallmouth bass. Top water action, a strong chance at a 20 incher, and total solitude on the river – all the ingredients for a world-class fishery. Schultz Outfitters’ point of contact info is at the bottom of this report. Just Shy of 20″ – Thanks Schultzy! 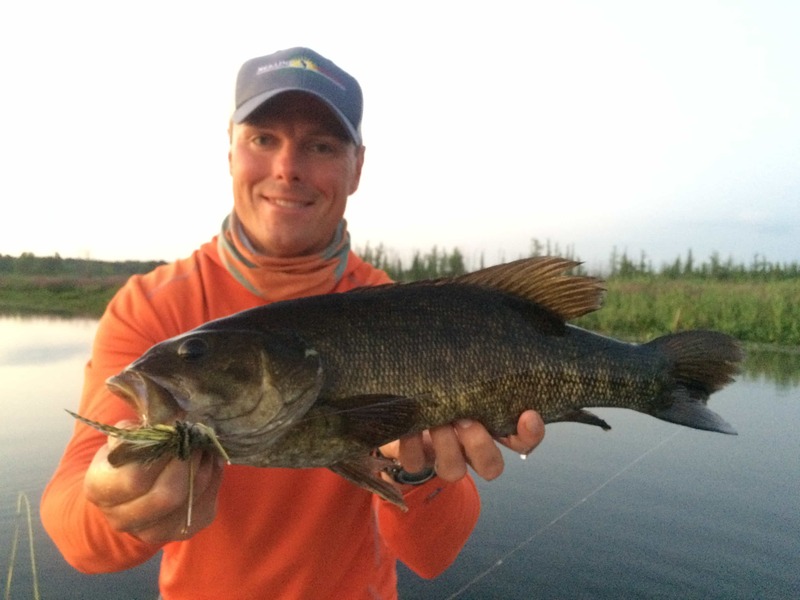 Yeah – That’s what MI smallies eat! 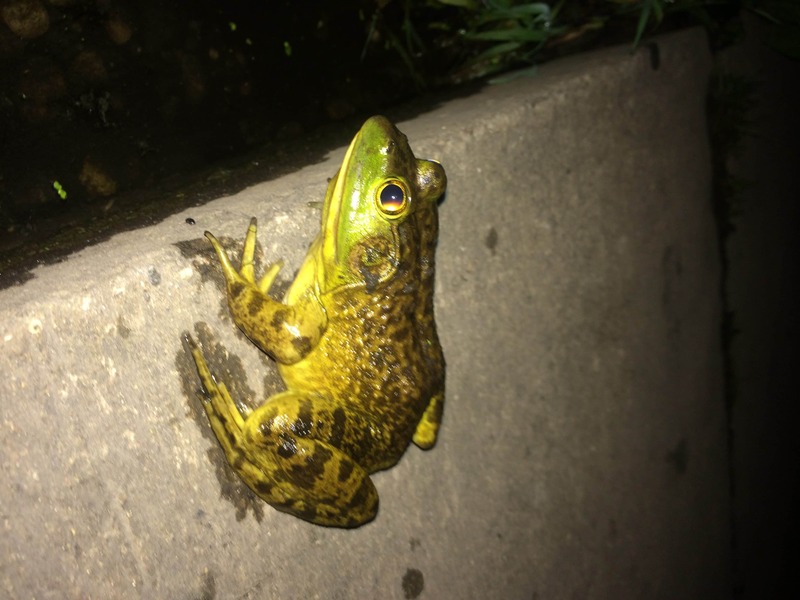 Same as last week – please keep away from them until we get some serious rain and cooler temps. We’ve heard some reports of tricos hatches – right on time for those guys but with water levels as low as they are and temperatures as high as they are, we’re going to stay away until conditions improve. The easterly and northern wind have made things interesting. We know some guys who say they won’t fish when the wind blows from the east – we’re not sure why. Action was consistent with numerous upper teens fish and one a half inch shy of 20”. Same observations as last week – wind continues to be the challenge around mid-day but the daytime high temps are tolerable enough to stay out a bit longer. Smallmouth Bass: the smallie bite on the fly picked up a little bit with increased numbers and a few larger fish. 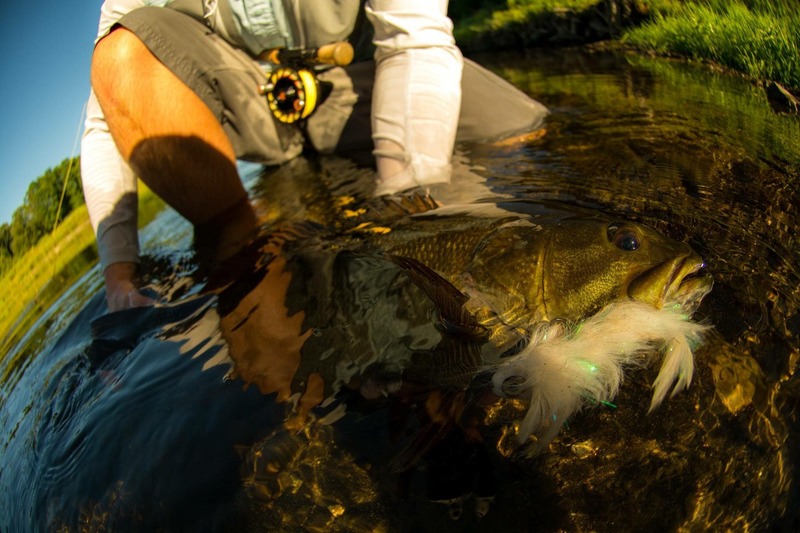 We continued to use fast sinking lines and flies that imitate goby minnows and crawfish. A slow and deep retrieve over rocky bottom at depths between 6-20ft produced fish. 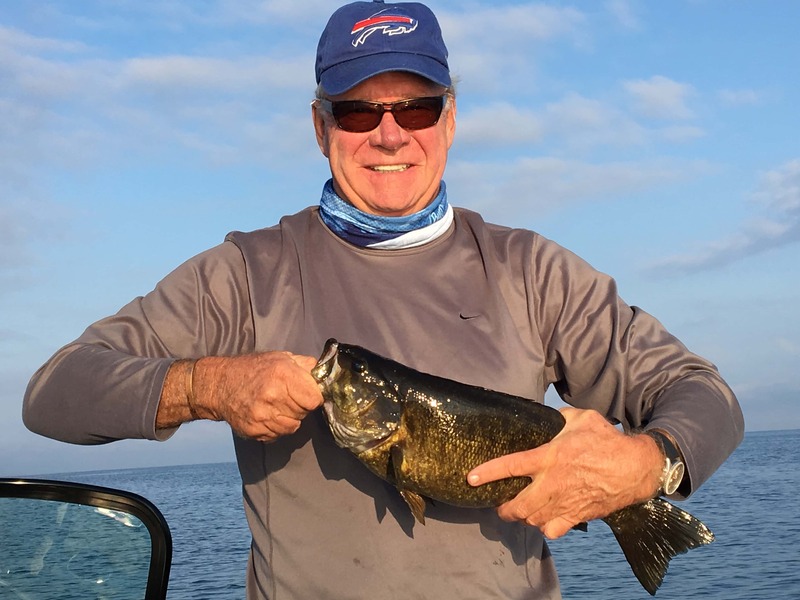 We’ve been seeing numerous smallies close to Lake Erie and in Lake Erie. The trick is getting down deep and staying there. 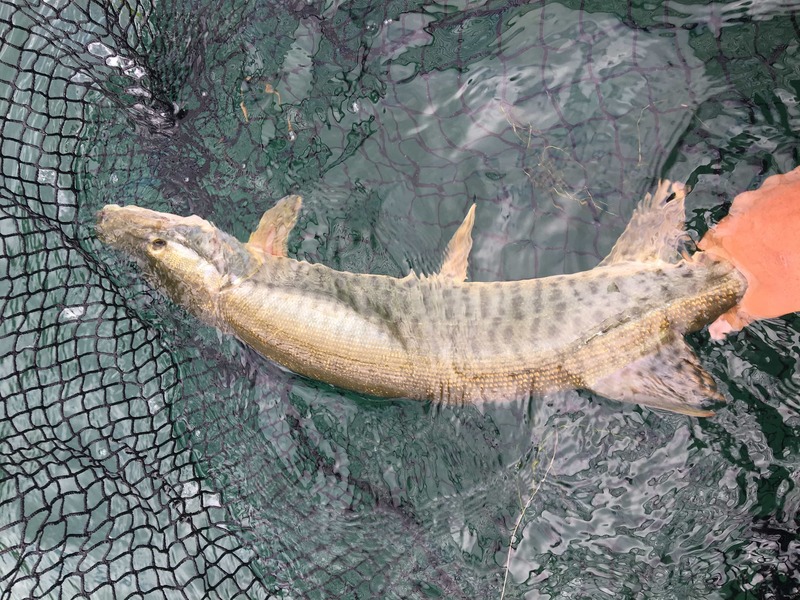 Muskellunge: as we mentioned above, the water temps dropped to between 75-76 degrees at the beginning of this past week so we made some early morning efforts to pick up some ‘skis. The river rewarded us with 2 fish – little guys but fly-caught muskies nonetheless. As of today, the water temps are back up above 76 so we are going to lay off these fish for a bit. We continue to see some larger fish on every outing and are marking them for colder days – let’s hope they stick around. Common Carp: no change from last week. If you want to pursue these guys, go south. Friends of ours continue to catch them on some of the warm water rivers south of Buffalo. Conclusion: a good week as we continue to dial-in high percentage spots for these dog days of summer. We’re loving the big boat and the amount of access to the big water it provides. Give us a call if you want to get out. Previous PostBrookdog Fishing Report – 20160717-20160724Next PostThe “Thing” About it is…Everyone Should have a Passion – What’s Life Without One? I remember you guys from OOFS, I just liked your FB page so am getting these reports now. Good job on the updates. I too have been staying off of the trout rivers and focusing on inland lakes and the Niagara. Mixed results, but getting a lot of exploring under my belt. Mike, look us up with you want to get on the water!